Birthed from her mother's womb as a mouth piece for God, evolved the anointed, infallible, woman of God, Apostle Antoinette M. Butler. As God molded her in His hands, He purposed her for His works and for His people. From the cradle to the pulpit this Apostle was destined to bring forth the word of God with the anointing and power. Hearing the call in her tender years, Antoinette began her ministry with a “Yes Lord, here am I”, and sojourns her call in the path of ministerial greatness. With an ear to hear His voice, and her affections toward heavenly matters, this Apostle is unmovable and unstoppable on her mission. Apostle Dr. Antoinette M.Butler was born in Chicago, Illinois, to the parents of Lenora Butler and Sam Ward. She is the middle child of her siblings. In her childhood years it was evident she was a gifted child; peculiar, anointed and called to ministry. As the gift of prophecy manifested through her voice, and prophetic dreams became perceptible through full flourision, the mantel as God’s Prophetess was apparent. Apostle Butler was saved at a very early age and received the Holy Ghost at 12 years old. She began her ministry at Ward Memorial Temple Church of God In Christ, in Waukegan, Illinois, where the late Elder McAllister was Pastor. It was in this church family she spent many years. In everything that she did, the anointing was apparent, and her thirst for spiritual matters palpable. Apostle Dr. Antoinette labored in ministry in many capacities: choir member, church secretary, Sunday school teacher, and Pastor’s Armor Bearer. She served in the Hospital Ministry, Covenant Care Ministry, Food & Cloth Ministry, Evangelist Ministry, Marketing Ministry, Hospitality Ministry, Outreach Ministry and the Community Volunteer Services. Apostle Dr. Antoinette has been blessed to serve under great ministries with awesome leaders such as; Christian Faith Fellowship Church, in Zion, Illinois, where Bishop James Logan is Bishop, No Limits In Christ of Racine, in Wisconsin, where Apostle Kenneth McGee of WI labored. She received her ministerial license in 2006 and completed the training for deliverance ministry. Speaking a word from the Lord, encouraging her fellowman to excel and overcome is a daily mission for Apostle Antoinette M Butler. 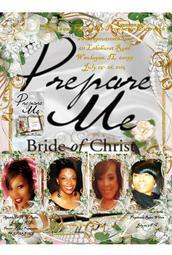 She is doing great exploits in the body of Christ. Following the instruction of our Lord, this anointed vessel established Remnant Apostolic Prophetic Outreach, which doors opened December 2007, following her ordination as pastor. In 2011 Antoinette was installed as an Apostle and received her honorary Doctor of Divinity in 2012. The Lord is using her by His Spirit; empowering her to casting out demons, breaking chains of destruction, and building spiritual foundations as God says so. 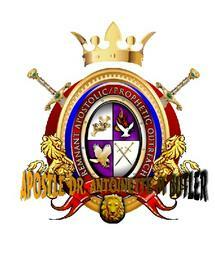 Apostle Butler's love for God, her calling and God’s people are very evident in her works. The body of Christ is blessed to embrace a warrior for Christ. Family business of “Heavenly Creations Florist” (www.heavenlycreationsflorist.com) and (www.elitecommunitycenter.com) - store tab for custom jewelry and apparel; creating floral arrangements, balloon bouquet, beautiful baskets and gifts of artist design for every occasion. Gifted and anointed is evident through her works. The family asks that you be God’s people of much prayer, share love and joy wherever you go and to be ever so steadfast to the works of kingdom building. Let prayer for this family be in your remembrance as they pray for you and yours. Keep your ears open to hear Apostle Dr. Antoinette M. Butler on the gospel circuit. And my speech and my preaching was not with enticing words of man's wisdom; but in demonstration of the Spirit and of power. 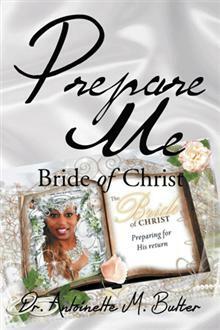 Author "Dreams That Speak" / "Prepare Me"
CEO - Elite Community Resource Center, Inc.